Just in time for Christmas! 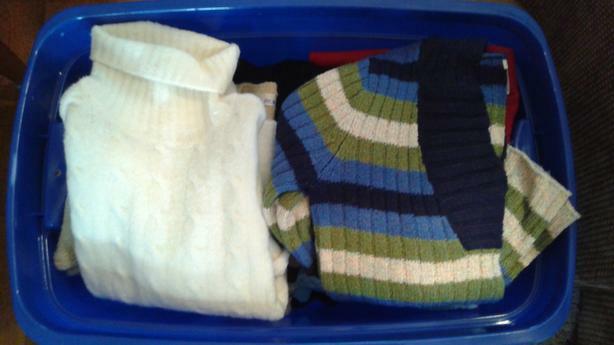 2 large bins of clothing. Many brand name items such as Aeropostale, Abercrombie, Hollister, Mexx, American Eagle, Silver Jeans and many more! Included are jeans, pants, capris, skirts, blouses, sweaters, cardigans, turtle necks, and t-shirts. Tops are small and medium, bottoms range from size 4-9. Over 100 items! Most are like new. Endless possibilities of mix and match outfits here. From casual to work attire. Over $2000 in clothing. Must see! Make an offer!